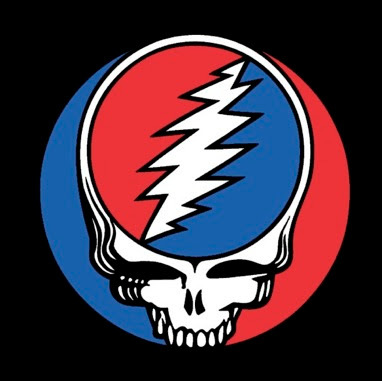 June 23rd, 1974 marked a crucial day in the history the Grateful Dead and their sound output. On that day the infamous "Wall of Sound" was debuted out of the necessity of creating a distortion-free sound system that also served as it's own monitoring system. At the time it was the largest concert sound system. "The Wall of Sound is the name some people gave to a super powerful, extremely accurate PA system that I designed and supervised the building of in 1973 for the Grateful Dead. It was a massive wall of speaker arrays set behind the musicians, which they themselves controlled without a front of house mixer. It did not need any delay towers to reach a distance of half a mile from the stage without degradation." As huge of a leap as the Wall was, it came with it's fair share of challenges as well. It's shear size (75 ton) made it difficult to transport, requiring a crew of 21 men and 4 semi trucks. Because of the time it took to move and assemble the wall, the band had three stages that would leap frog in preparation for the incoming rig. The wall was retired just a few months later due to the the rising cost of fuel and the amount of crew it took to maintain. It was replaced with a more efficient sound system in 1976. In it's time it revolutionized large-scale traveling sound systems. Grateful Dead Live at Cow Palace on March 23, 1974. The show itself was is phenomenal boasting stellar sound quality and energy. The "Scarlet Begonias" is fantastic, as is the "Deal", "Cassidy" and "China Cat>Rider". When I remember Jerry I hear his 1974 voice. It's soulfully perfect and bright. 1974 is easily one of/if not the best era of Dead music. The second set highlights were a "Ramble on Rose" that tugs on the heart, "Bertha", and a "Wharf Rat>Sugar Magnolia". The "Sugar Magnolia" starts slow and that pace holds through "Casey Jones" before it picks back up with the closing "Saturday Night".